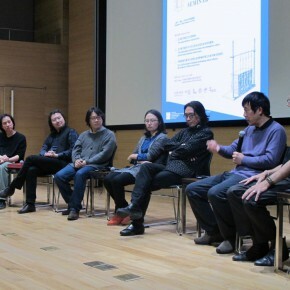 In addition to exhibiting the works, “Diamond Leaves: the Second Exhibition of Artists’ Books also launched a seminar, to further promote the research and dialogue in the field. 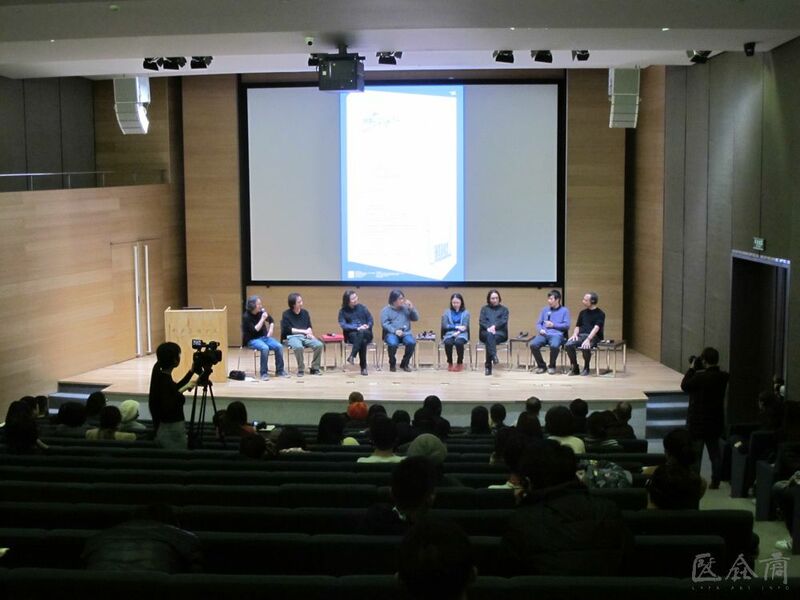 At 2:00 pm on November 21, 2015, the Seminar on Diamond Leaves: the Second Exhibition of Artists’ Books was held in the Auditorium Room of CAFA Art Museum. 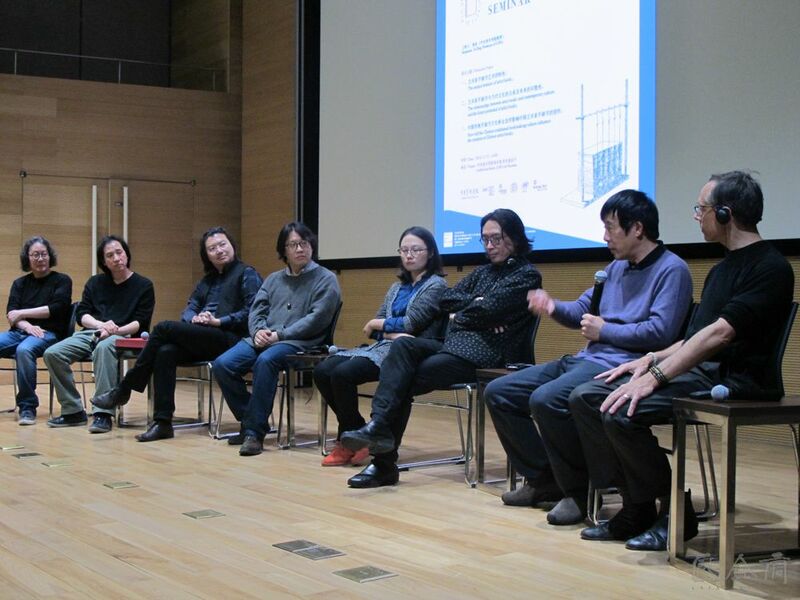 The seminar was hosted by Prof. Xu Bing from CAFA, Head of Brooklyn Artists Alliance Marshall Weber, researcher of the Palace Museum Weng Lianxi, creative bookbinder Zhu Yingchun, and the artist of artists’ books Guo Leilei who offered a keynote speech. 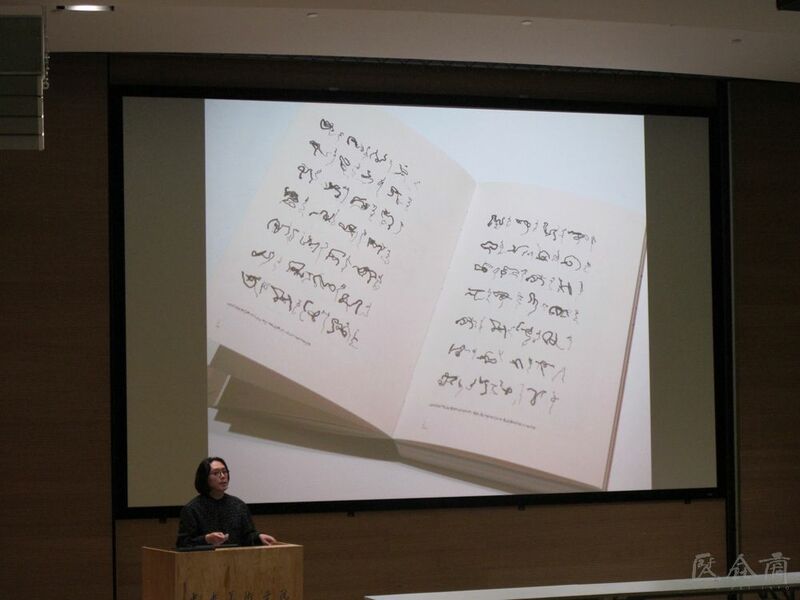 Artists’ Books refers to the artists who use the clever thinking of “book space” to freely transfer and integrate the reading of texts, visual appreciation, and tactile experience of material. 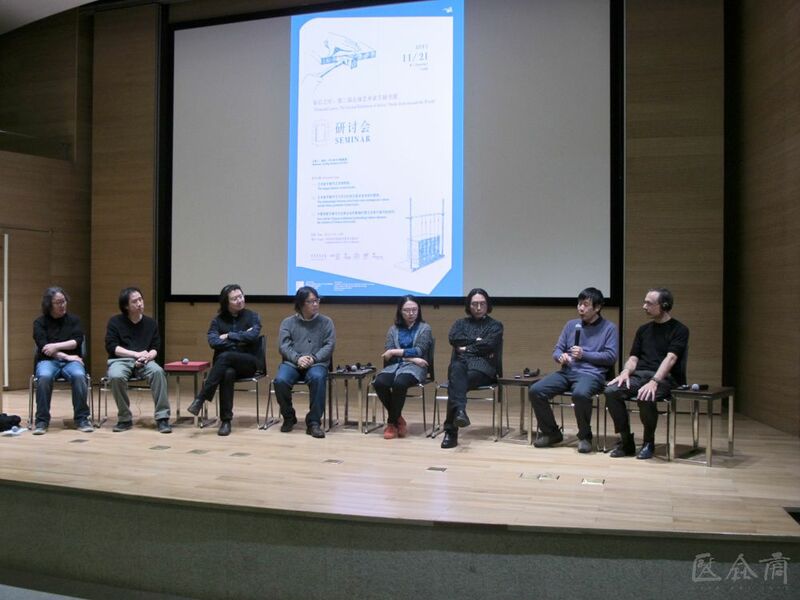 “The Artists’ Books from around the World” series aims at introducing the creative artistic style to the public and professionals in China, and unfolding related research, to discuss the special context and possibility of such a form of art in the country of a long bookmaking culture? 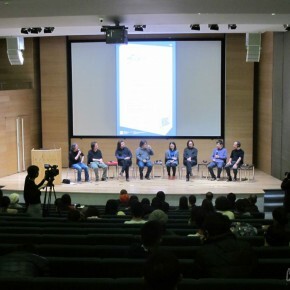 What is the creative opportunity and space for Chinese artists? 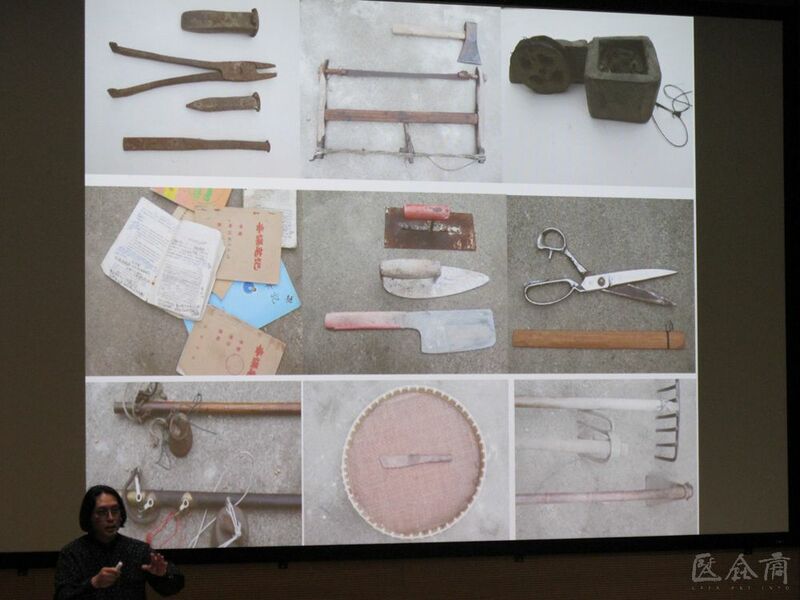 What kind of work will appear in the intermediate zone between contemporary handmade book art and the unique bookmaking culture in China? 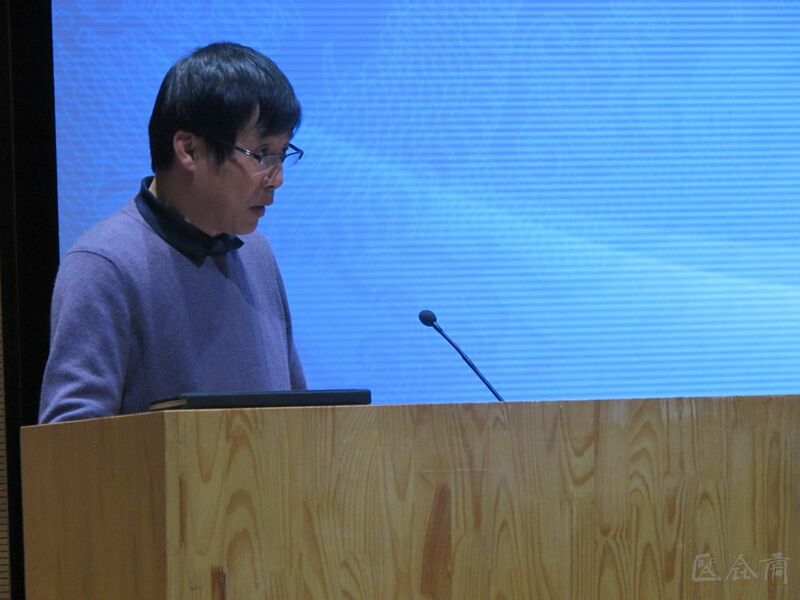 First of all, Prof. Xu Bing gave an opening speech and said that it was the first time to launch a seminar on handmade books in China. 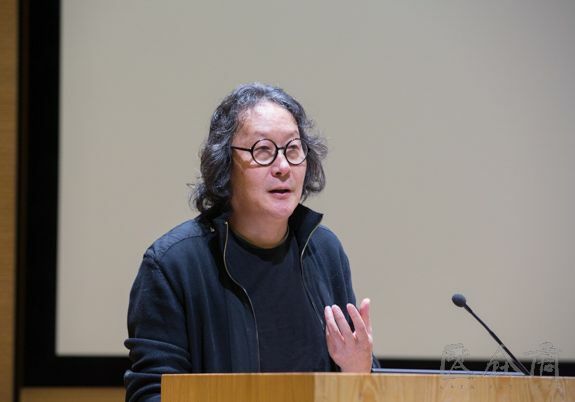 Xu Bing said that, the handmade book was a comprehensive field, emphasizing on creativity, including a variety of media, at the same time it was to some extent limited by space. 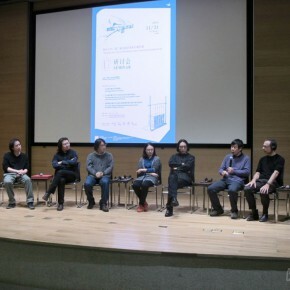 The seminar unfolded on the basis of three topics: firstly, the unique features of artists’ books; secondly, the relationship between artists’ books and contemporary culture and the future potential of artists’ books; thirdly, how will the Chinese traditional bookmaking culture influence the creation of Chinese artists’ books? 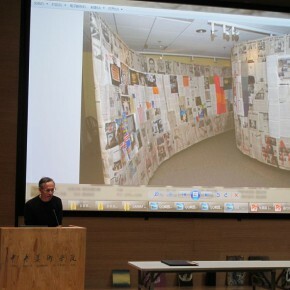 The speaker Marshall Weber was the curator of the first “Diamond Leaves”. 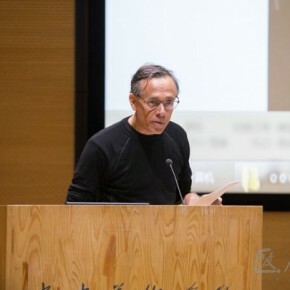 In his keynote speech, by using the display of specific artists’ books he explained his latest creative concept: that extended artists’ books, namely the book did not only have the physical function of ancient and modern books or scrolls but this also extended to the exhibition space and public space. 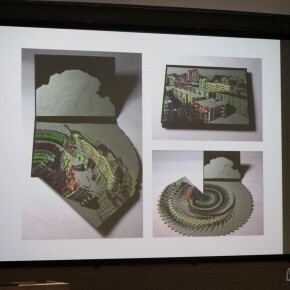 Marshall said there were many possibilities for the books, through the action of the page that transmits and flips, and the interaction with the surrounding environment offer a wonderful presentation. 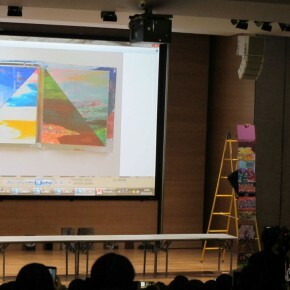 The Books reflected on different content from memory, and it seemed to be able to arouse long-lost memories, the uniqueness of handmade books offered them liberation from the tradition, with infinite possibilities. 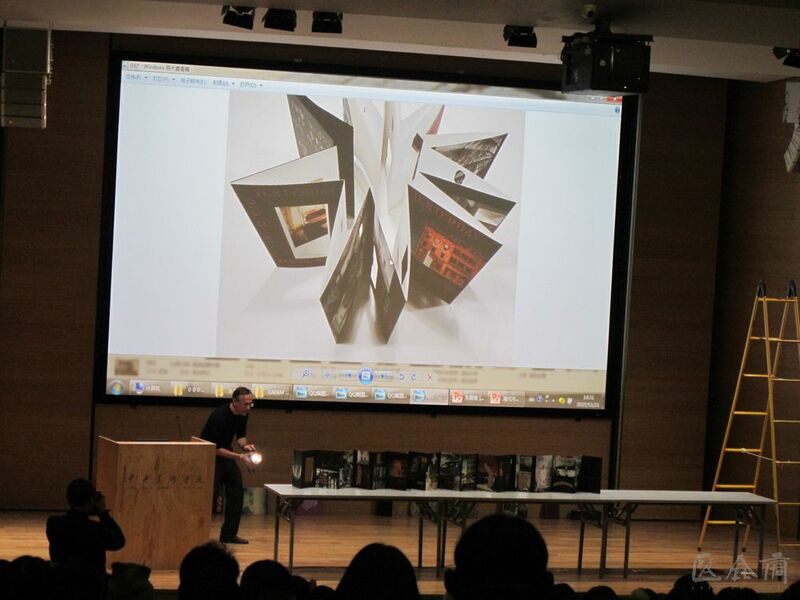 Then he showcased more than ten handmade books, and interpreted the creative concept and intention of each book. 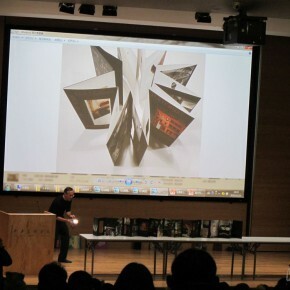 With the presentation of these wonderful artists’ books, Marshall led the audience to enter the space created by the books. 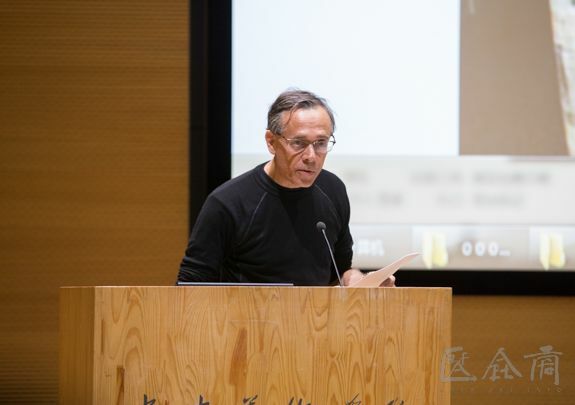 Finally, Marshall concluded that books were not the only carrier to spread text and data, but also a kind of artistic media like painting, and photography and it was promising in the exhibition space and public space. 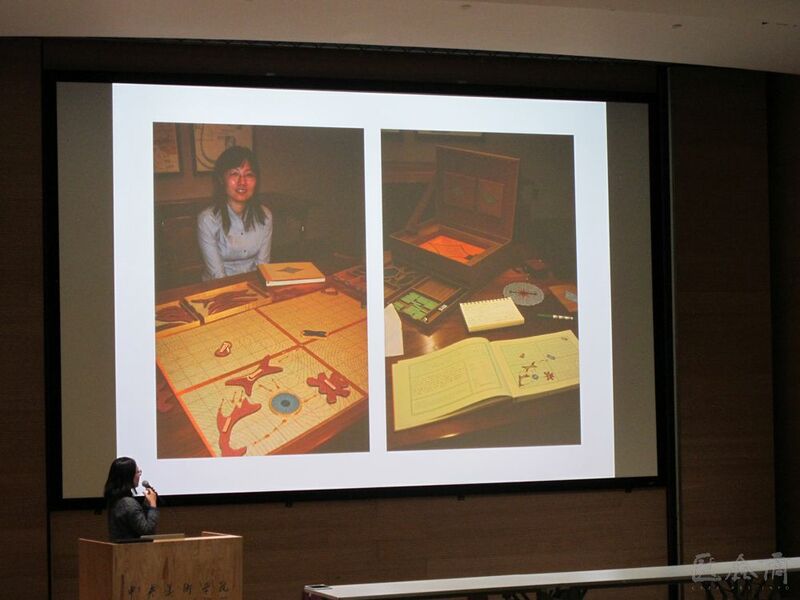 Books were a form of experimental avant-garde art media, Chinese artists had a broad space of creation. 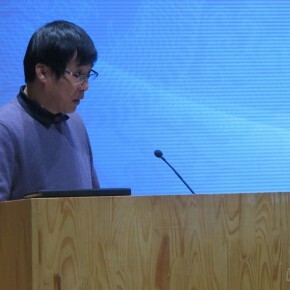 Researcher of the classical books at the Palace Museum Weng Lianxi gave a keynote speech to introduce the decoration of the mperial warehouse in the Qing Dynasty and the forms; the fittings of books of the imperial warehouse in the Qing Dynasty; packaging materials of the imperial warehouse in the Qing Dynasty. 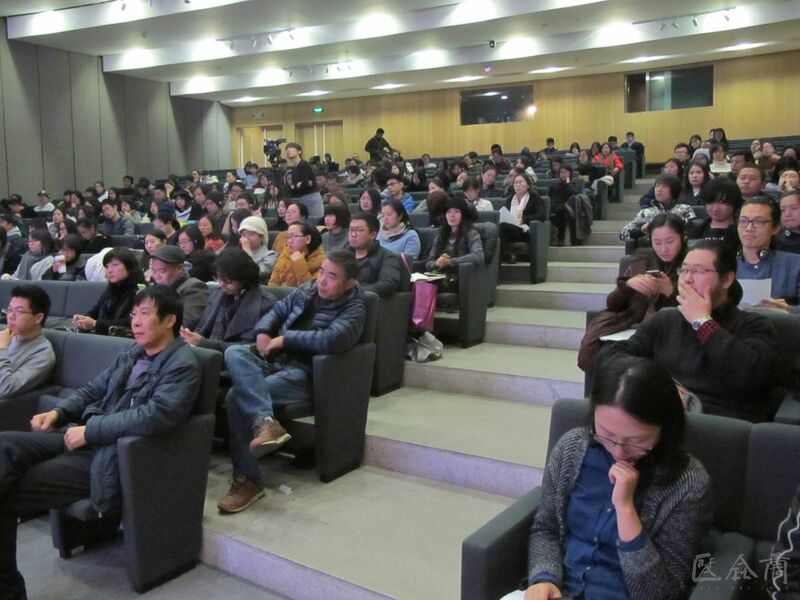 He used ppt on the scene to showcase to the audience the treasures, with a variety of novel and clever forms, exquisite crafts and gorgeous and elegant decorations, hidden in the palace. 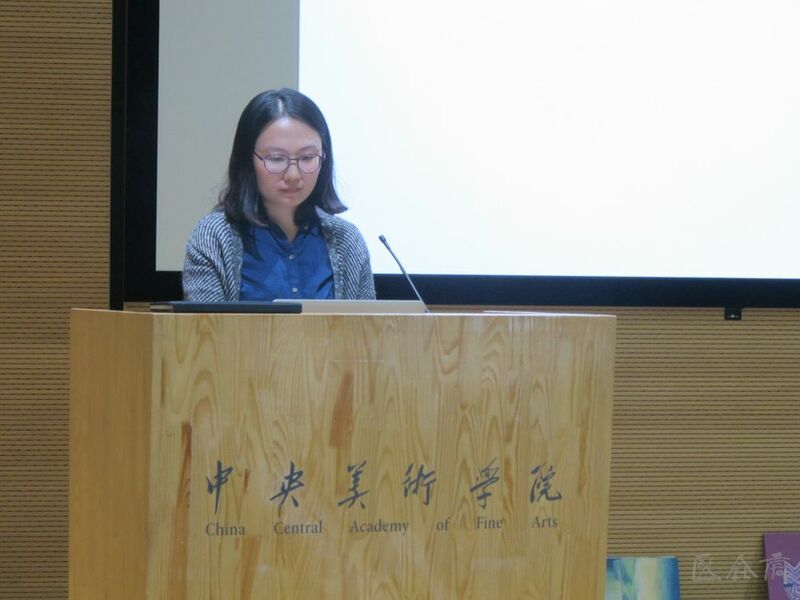 The classical bookbinding artistic treasures are famous for their exquisite materials, and they occupy an important position in the history of art and craft of Chinese ancient bookbinding. 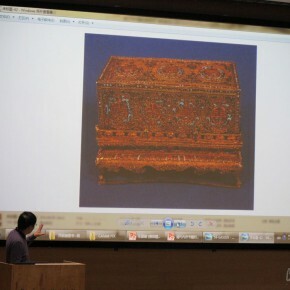 The bookbinding art of the imperial warehouse in the Qing Dynasty was constantly innovated and developed on the basis of the bookbinding in the previous dynasties in China, the imperial warehouse in the Qing Dynasty created a lot of treasures handed down from ancient times, with rich financial and material resources as well as many excellent skillful craftsmen. 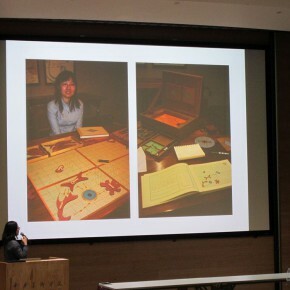 The bookbinding forms of the imperial warehouse in the Qing Dynasty include: scroll binding, Fanjia binding (a bookbinding form of the classical Buddhist books), accordion binding, butterfly-folding binding, wrapped-ridge binding and traditional thread binding, in addition, bookbinding forms of the block-printed edition also include Tuipeng binding, butterfly-inlay, Maoding. 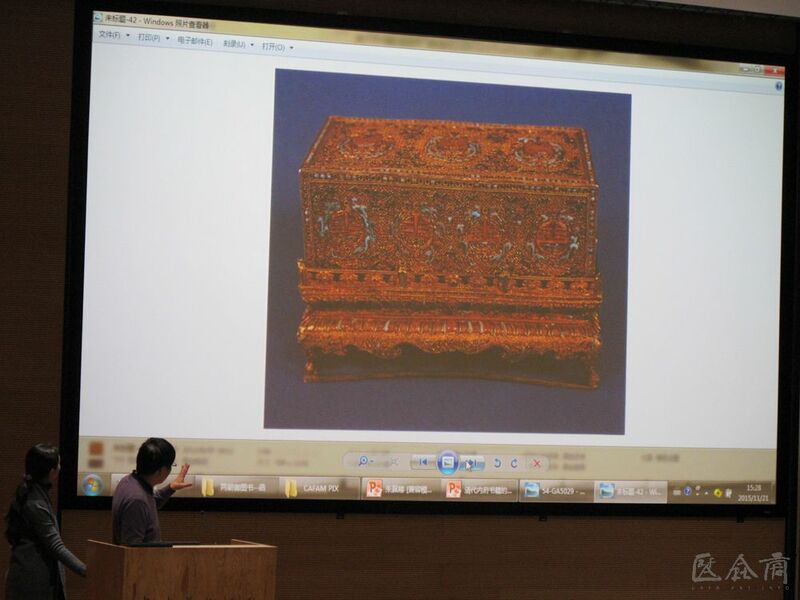 The books of the imperial warehouse in the Qing Dynasty are often yellow, red and blue. In addition to the supplement of colorful book covers, bookmarks, book clips, book cases and slipcases also play an indispensable role as accessories to books. 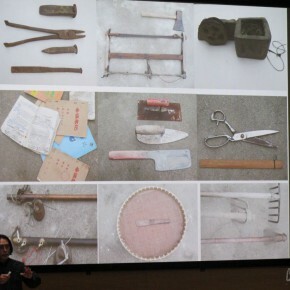 As a creative bookbinder, and Director of the Research Center of Book Culture at the Nanjing Normal University the speaker Zhu Yingchun gave a speech on finding a balance between handmade and mechanism in the link of book publishing and mastering the handmade degree of bookbinding, so that the readers happily and easily participated in hands-on part. 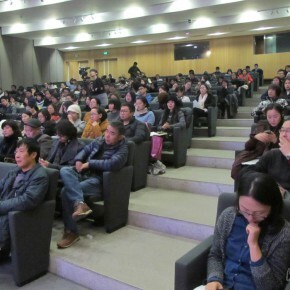 Through the combination of manual design and mechanical printing, people were keen on paper books again. 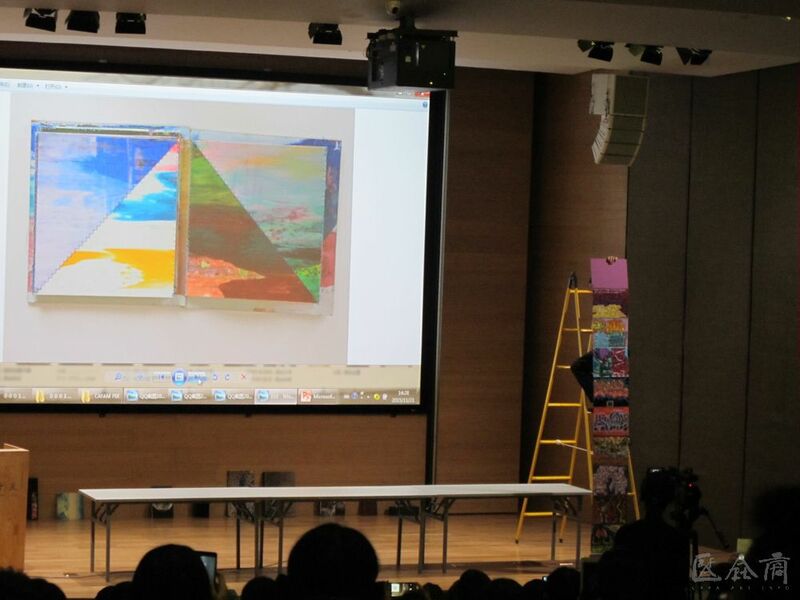 Then he shared all kinds of creative ideas in the design of books. 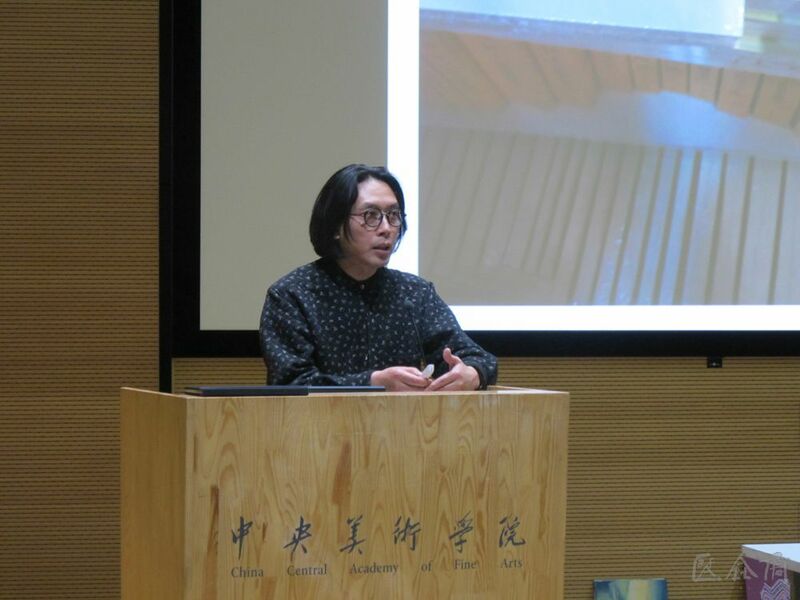 Zhu said that the machine itself did not like human hands with mental factors and it was short of creativity, so that the machine must be controlled by people who understood the beauty. 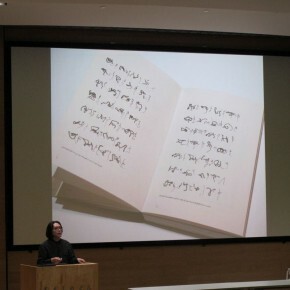 Bookbinders and artists of books constantly dialogued and communicated with machines, and they were the mind of machines, choosing the suitable machine and printing materials, they joined in a common effort to make up for each other, so that the hands and machines were able to reflect the beauty of themselves. 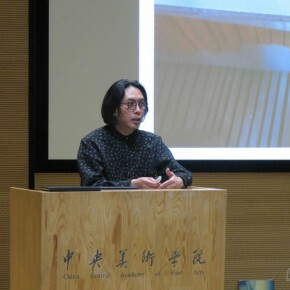 The artist Guo Leilei attended the first and second Diamond Leaves: Exhibition of Artists’ Books from Around the World. 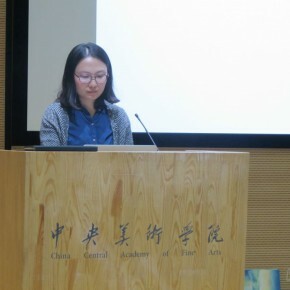 It is an artistic category that is known by only a few people, she started from her personal experience so that she contacted artists’ books about ten years ago, Guo Leilei shared her feelings when she first saw artists’ books in the United States, as well as the thoughts and practices in the process of the creation of artists’ books. 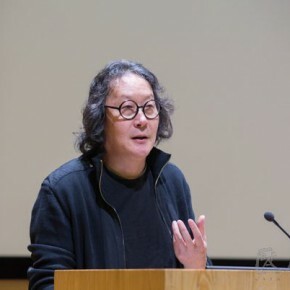 Guo Leilei said that books were as a visual form that had the visual narrative; books were continuously flipping while reading and interactions were accessible; as the conceptual rehearsal space, books could be presented in the form of sculpture or installation; books could also be expanded as a form serving concept. Combined with the works she had specific instructions. 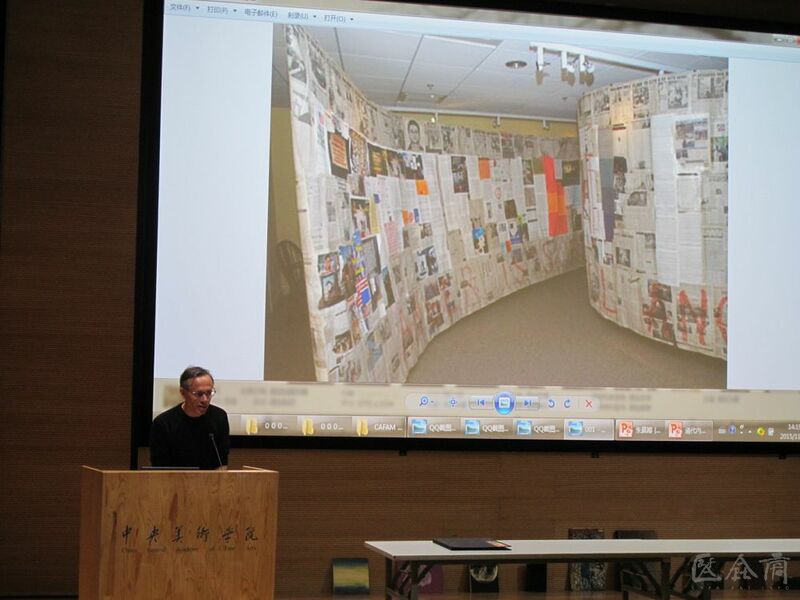 “Artists’ books” can be seen as a perfect media of the expression and communication of rehearsal art. 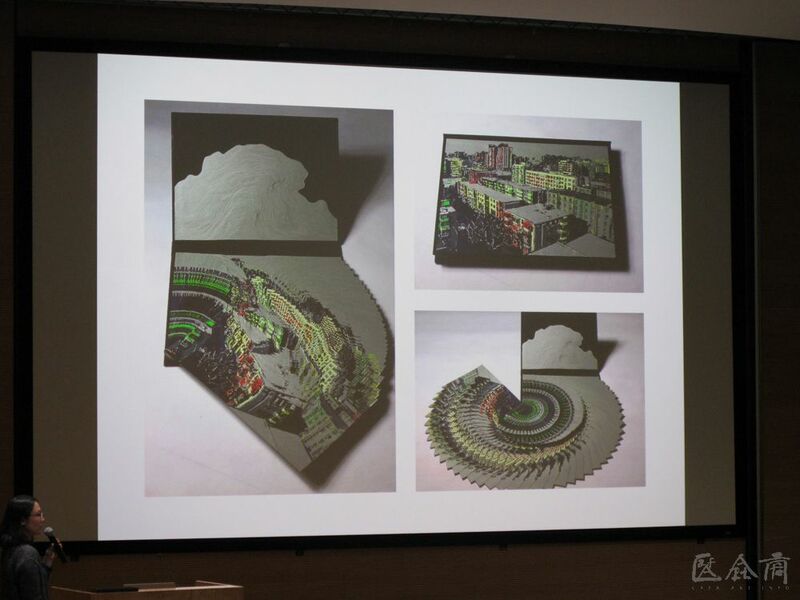 Depending on artists’ requirements of the presentation of the contents, the narrative space was expanded at random; at the same time, it gave more flexibly when taking a video, text and suitable materials as the expressive ways to narrate the theme of work according to the types of theme. 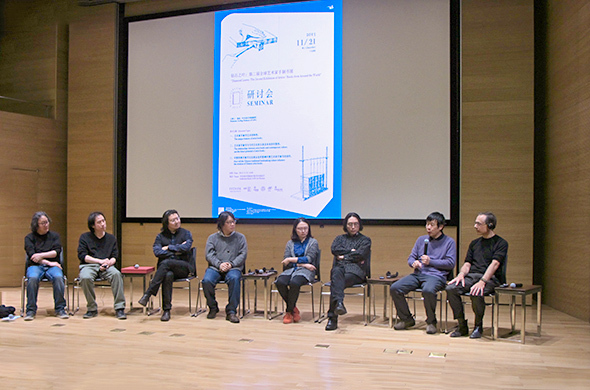 After the end of the keynote speeches, the host Xu Bing, the speakers Marshall Weber, Weng Lianxi, Zhu Yingchun, Guo Leilei, together with the scholars and practitioners in the field of handmade books, including bookbinder and Director of Wenjin Engraving Museum Jiang Xun, collector of artists’ books Wang Ji, Associate Professor Yang Hongwei of CAFA had an in-depth discussion on the future potential of artists’ books in China, the ancient Chinese bookbinding technical influence on the contemporary artists’ books, a combination of artists’ books and publishing.